« Law Review on #Catflapgate: As the Cheshire Cat in Alice in Wonderland said…”We’re all mad here”. Rive Gauche: Flawger, Flâneur and Friday frippery…. David Allen Green, solicitor, blogger, tweeter, legal correspondent for The New Statesman and now media correspondent for The Lawyer, considers tweeting lawyers… and puts the boot in, indirectly, to the ‘flawgers’ by not mentioning them..
Twitter provides a poor “return on investment” for cynical lawyers and related professionals who just want to expand their internet presence as a commercial end in itself. Indeed, such folk should probably do other things than waste time in trying to develop a Twitter account which then languishes with a few dozen followers at best…. For my part, I enjoy twitter. I appear to have managed to find time over the last two to three years to rack up over 90,000 tweets. I enjoy the social interaction. I have met some great people through twitter – real life and virtually – and I enjoy the often interesting and amusing exchange of ideas and views. I particularly enjoy ‘engaging’ with the more surreal tweeters, the un-reconstructed and the ‘pissed tweeters’ late at night. I don’t take it too seriously and while WordPress posts my blog posts to twitter and I do the occasional follow up tweet, there is no doubt that twitter has brought visitors to my blog. I had a look at the stats on that. It would appear that about 5% of my visitors come through twitter. Most of my readers don’t seem to tweet. I have little interest in lawyers or law firms (or any other tweeters) who simply broadcast their news or services…. in the syle… “Great shame about that Volcano erupting killing thousands… meanwhile, if we can help with your personal injury claim. 0898 1234567” and I have little interest in the “Flawgers” – a term coined by Antonin Pribetic of The Trial Warrior blog – or snake oil social meedja gurus and mavens. There is a great deal of comment and useful information, across a wide range of topics and subjects, out there on twitter – and long may that continue. 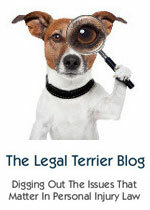 Although David Allen Green was kind enough to describe me as a ‘doyen of legal blogging’ – that is not how I would describe myself. I think Antonin Pribetic’s description of me as a flâneur is more amusing…and probably more accurate…. Wikipedia notes: The term flâneur comes from the French masculine noun flâneur—which has the basic meanings of “stroller”, “lounger”, “saunterer”, “loafer”—which itself comes from the French verb flâner, which means “to stroll”. Charles Baudelaire developed a derived meaning of flâneur—that of “a person who walks the city in order to experience it”. I have a Facebook page which I never use. I deported myself from Linked In because I described myself as CEO of Charon Inc, money launderer and short seller of bank shares, and some did not appear to understand that I do not actually exist. They kept on sending me messages to get Linked In. Charon QC is a figment of my imagination – as my ‘About’ section makes clear. I lost the will to live after trying Google + for half an hour… I kept going round in ‘circles’. I also appear to have broken Google ‘Terms of Service’ by using a fake name… “Charon QC’. When I last looked, Google appears to think Charon QC is real and does exist. Result! Scots solicitor Brian Inkster has written extensively on the subject of law blogging and his thoughts (and the many comments) are worth reading: I Blawg. You Flawg. Period? “The clients of a legal aid lawyer have recreated a John Lennon and Yoko Ono magazine cover to support her fight to keep her practice. Yvonne Hossack has dedicated her legal career to helping vulnerable people and, in particular, is known for her work on behalf of care home residents facing eviction. She’s acted for over 2,000 clients, saved care homes from closure and taken cases to Strasbourg. But it’s not been an easy ride: her firm has lost over £100,000 in the last year and she’s been fighting a battle against the Legal Services Commission which refused Hossack’s application for a legal aid contract (citing incorrectly filled out forms). The Without Prejudice podcast this coming Thursday will be on Human Rights. We hope that Hugh Tomlinson QC, a leading light on privacy and other legal matters, and Adam Wagner of 1 Crown Office Row and The UK Human Rights blog – will be able to join us – work permitting. I am delighted that our audience is growing for these podcasts – and I very much appreciate that experienced lawyers are prepared to give of their time – free – to come down to The Staterooms at Battersea to record the podcasts. I am also delighted to report that The Lawyer has become a sponsor and will be covering the fortnightly podcasts on The Lawyer website going forward helping us to reach a wider audience of lawyers – who don’t read blogs or tweet. “It’s not often that public sector projects come in under budget and go live with no discernible hiccups, but the Legal Ombudsman (LeO) seems to have done just that. Not quite sure why the Lennon/Ono Yvonne Hossack story has just made the news this week. They actually did this protest last year – see here. Still, good that it’s still getting publicity.